Engineers commonly use paper and whiteboards to sketch and discuss ideas in early phases of requirements elicitation and software modeling. These physical media foster creativity because they are quick to use and do not restrict in any way the form in which content can be drawn. If the sketched information needs to be reused later on, however, engineers have to spend extra effort for preserving the information in a form that can be processed by a software modeling tool. While saving information in a machine-readable way comes for free with formal software modeling tools, they typically anticipate the use of specific, predefined modeling languages and therefore hamper creativity. To combine the advantages of informal and formal tools, we have developed a flexible tool-supported modeling approach that augments a sketching environment with lightweight metamodeling capabilities. Users can create their own modeling languages by defining sketched constructs on demand and export model sketches as semiformal models. In this article, we first give an overview of FlexiSketch and then focus on an evaluation of our approach with two studies conducted with both novice modelers and experienced practitioners. Our goal was to find out how well modelers manage to use our lightweight metamodeling mechanisms, and how they build notations collaboratively. 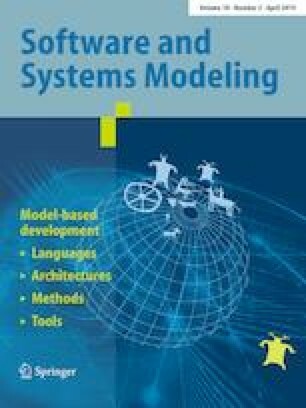 Results show that experienced modelers adopt our approach quickly, while novices have difficulties to distinguish between the model and metamodel levels and would benefit from additional guidance and user awareness features. The lessons learned from our studies can serve as advice for similar flexible modeling approaches. Communicated by Mr. Juan de Lara. We would like to thank the journal reviewers and André van der Hoek for their very valuable feedback and comments on earlier versions of this article.